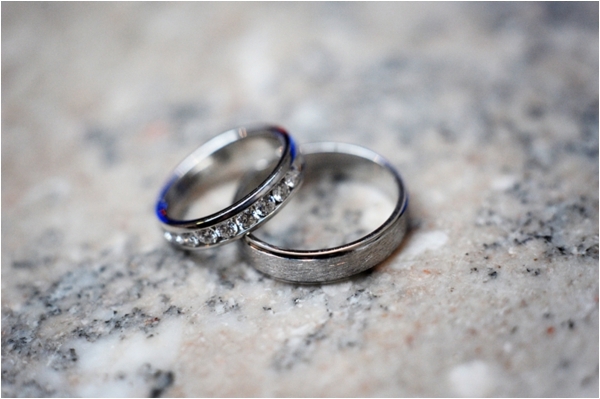 What a lovely wedding to start our Thursday with! 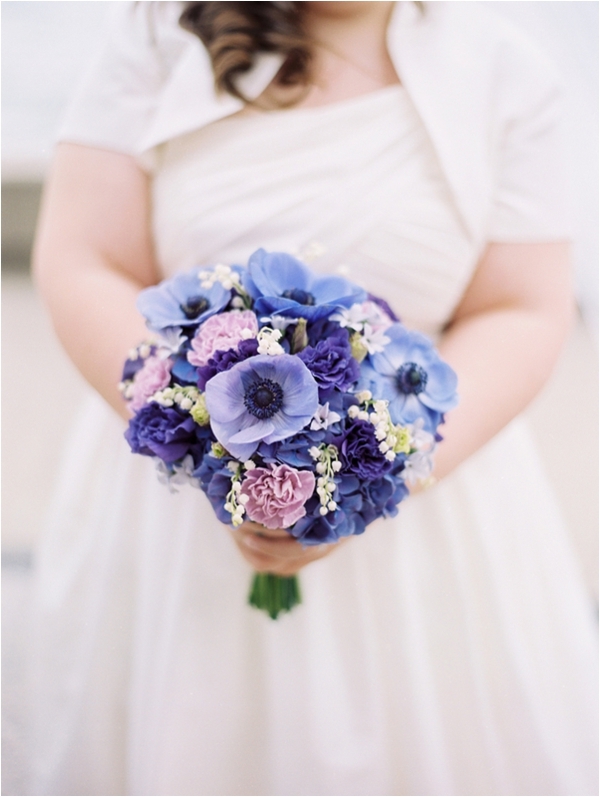 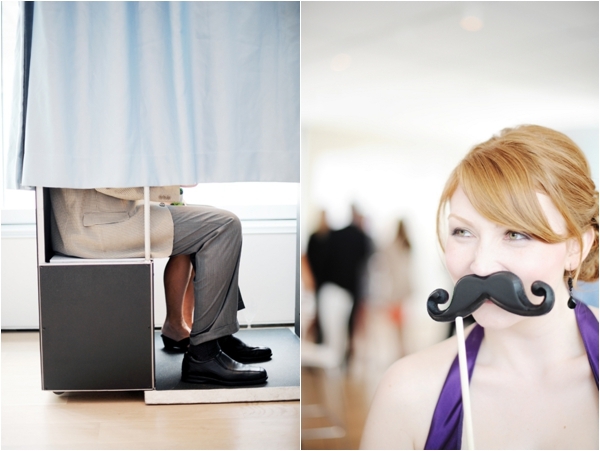 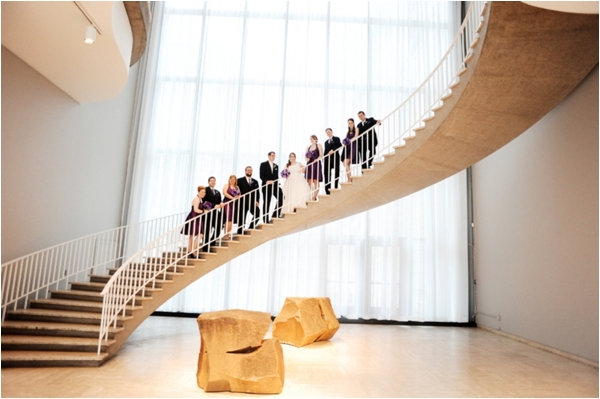 This beautiful, modern wedding was photographed by Two Birds Photography. 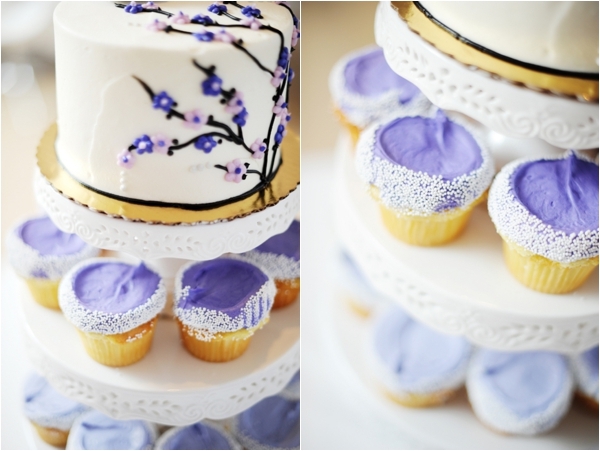 They did such a great job capturing all the lovely details! 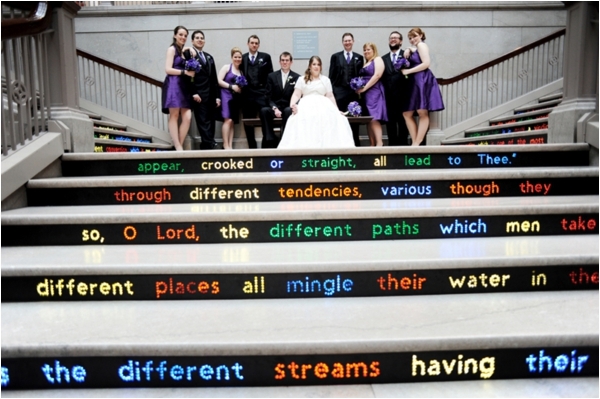 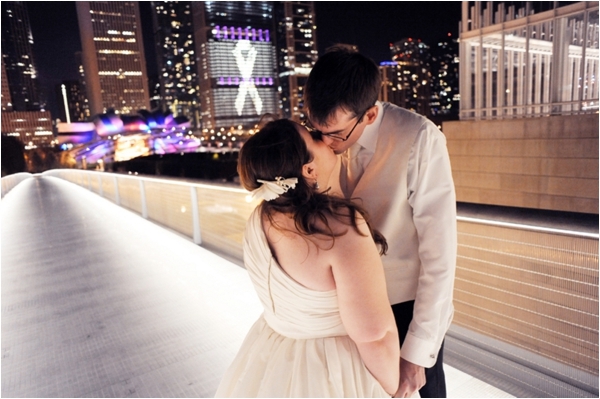 Thank you for sharing this wedding with us! 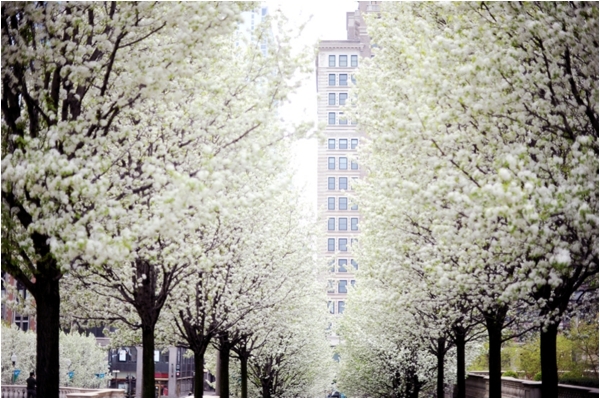 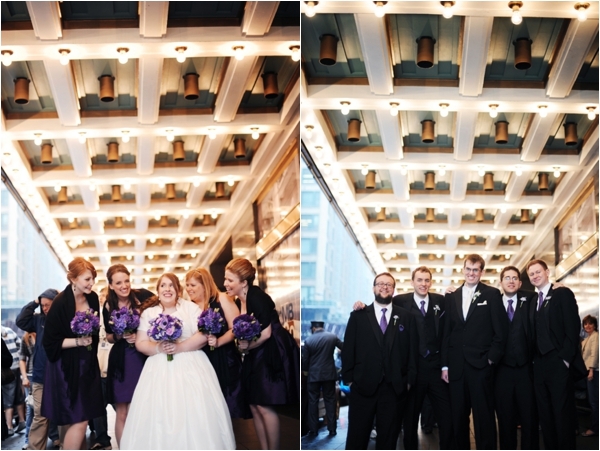 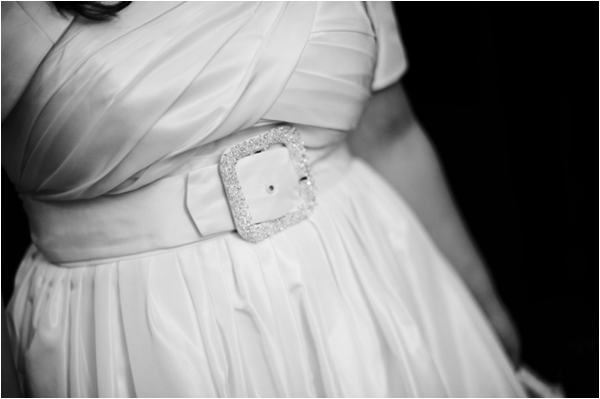 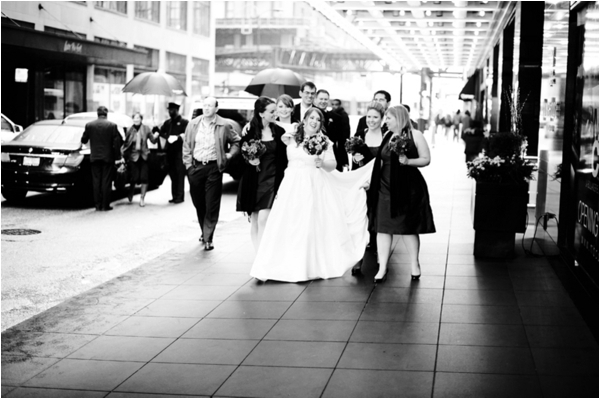 From the photographer: "This amazing and peppy bride, Susan, did an incredible job with her downtown wedding. 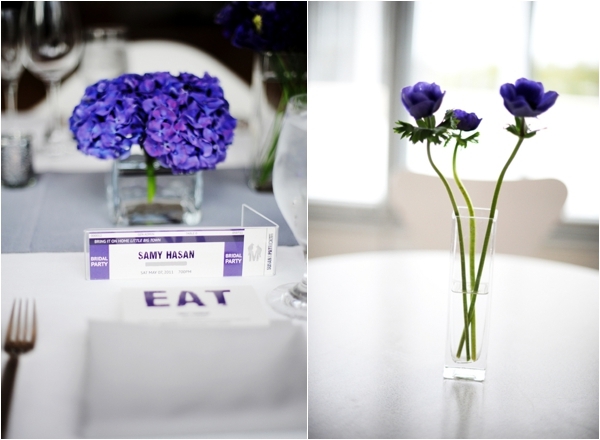 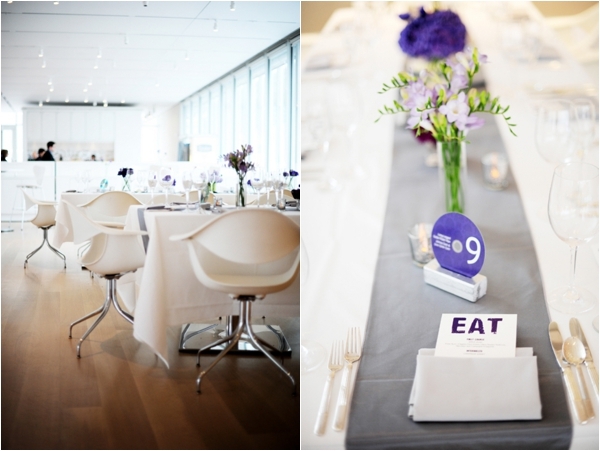 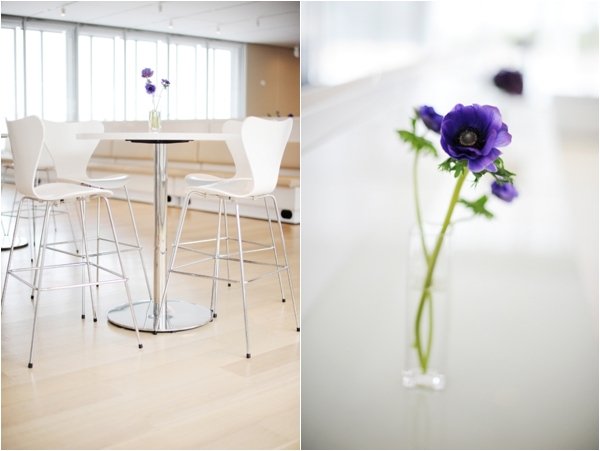 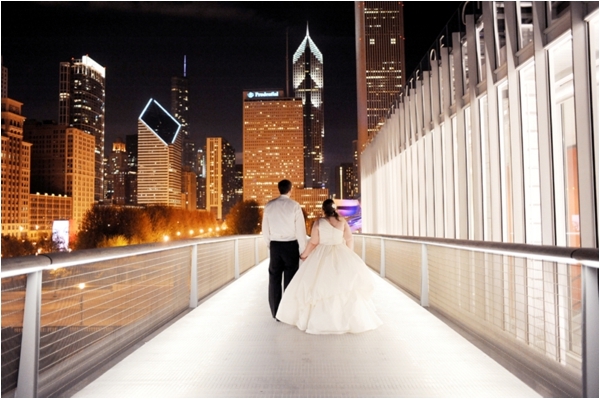 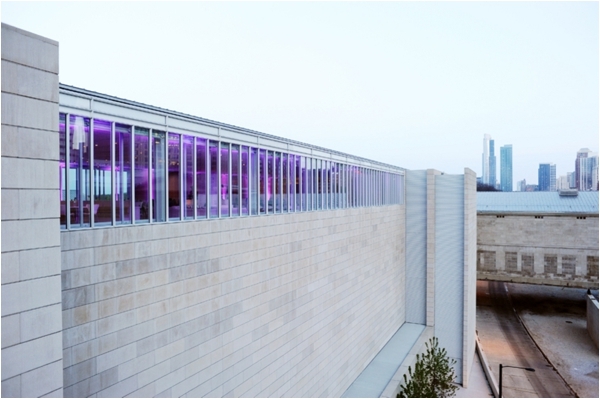 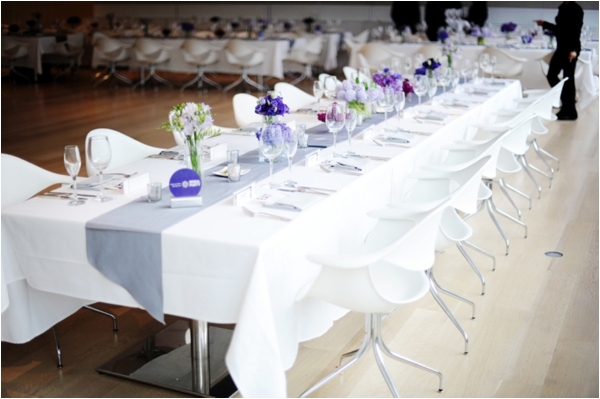 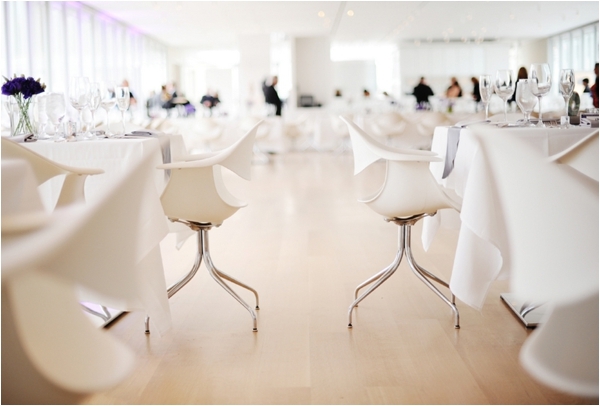 With help from the crew at Hello Darling in Chicago, she pulled off an original, modern, purple music-themed wedding at Terzo Piano in the modern wing of the Art Institute. 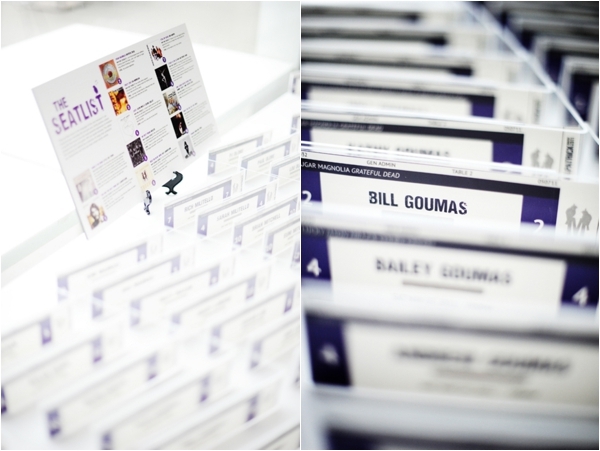 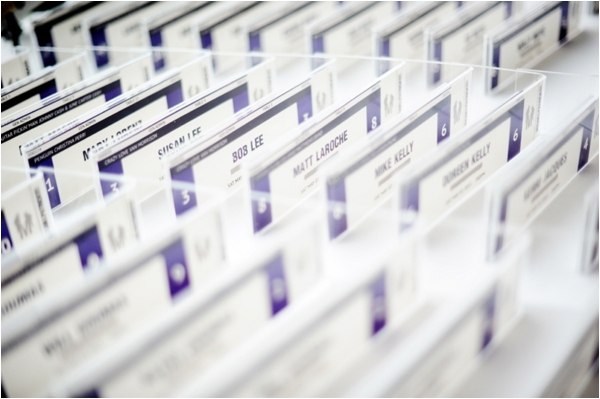 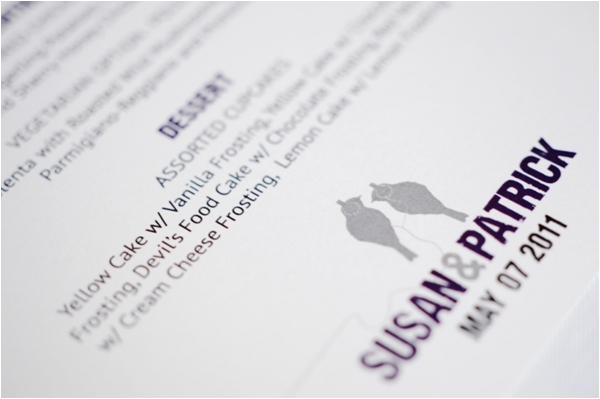 As a graphic designer, Susan mad her own "Seatlist" and did all of the typographic pieces throughout her day. 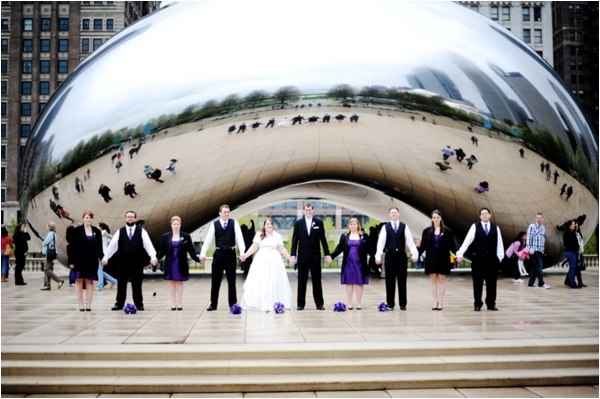 We loved being a part of their day!"